Puzzled over present ideas for someone? 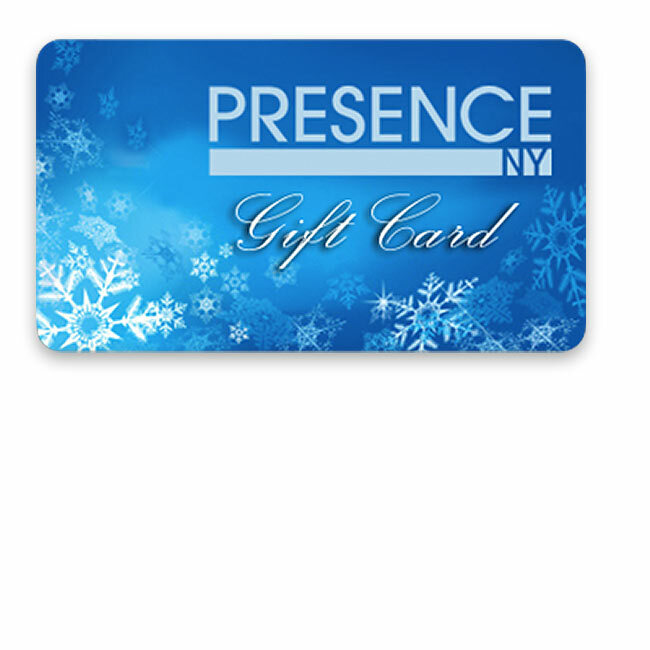 At Presence NY, shopping for great gifts in-store couldn't be easier with our new Gift Card offering a fantastic choice to suit a range of needs. Choose a gift card value, give it to someone special and let them choose what they really want. Gift Cards can only be used to purchase products in store. No refunds are available. The card and balance will expire five years from card issue.